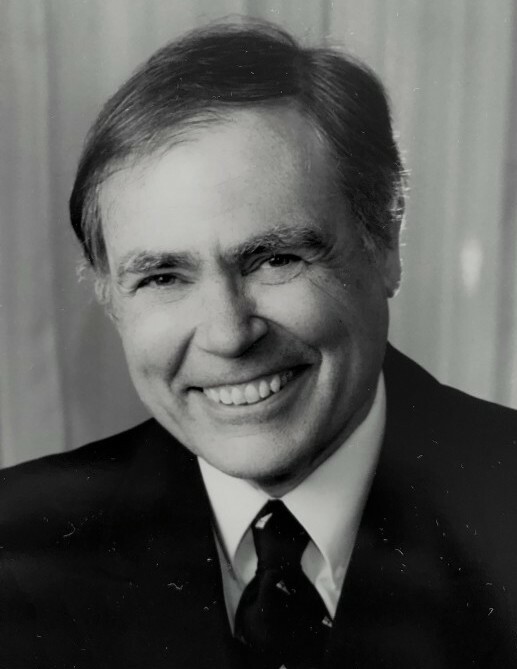 Benedict J. Frederick, Jr. of Pasadena, MD passed away February 7, 2019 at Baltimore Washington Medical Center from cancer complications. He is survived by his wife Evelyn Doyle Frederick, two sons, Benedict J. Frederick III (Anne Draddy) and Michael J. Frederick (Jersey), four daughters, Joan Voshell (James), Barbara Taylor (Gregg), Maryann Jones (Peter), and Kathleen Frederick (Darren Talbert) and predeceased by daughter Jeanne Backof (Joseph), eighteen grandchildren, Emily, Robert, and Kenneth Voshell, Peter and Thomas Backof, Katherine, Benedict John IV, and Rosalie Frederick, Kimberly and Courtney Taylor, Pierce, Henry and Claire Jones, Tyler, Evan and Austin Frederick, Mary and Stephen Palencar and great-granddaughter Teagan Backof. Ben donated his body to the Maryland Anatomy Board. Family will receive visitors at Our Lady of the Chesapeake 8325 Ventnor Road in Pasadena, MD on February 22, 2019 at 3-7 pm. Funeral Mass at Our Lady of the Chesapeake on Saturday, February 23, 2019 at 11:00 am. Please omit flowers. Contributions to Our Lady of the Chesapeake in memory of Benedict J. Frederick, Jr. would be appreciated.